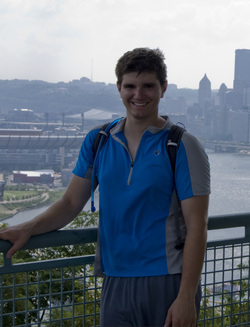 Rich grew up just outside of Buffalo, NY, and moved to Pittsburgh for college, where he studied chemistry. During his undergraduate studies, Rich realized that he was interested in studying the environment, and particularly how the climate system works. He graduated in December 2009 and taught at the University of Pittsburgh for the Spring 2010 semester, arriving at the University of Michigan in the fall. Away from his research, he enjoys traveling, rock climbing, cycling, and skiing. Future climate change and population growth threatens the availability of sufficient water in regions where resources are already stressed, such as the Bolivian Altiplano. Rich's research uses regional models to assess future climate variability on the Altiplano, focusing especially on changes in the hydrological cycle relevant to agriculture.